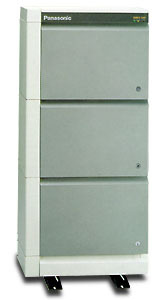 KX-T336 Programmator supports following models: Panasonic KX-T336 and KX-TD500 (v1). 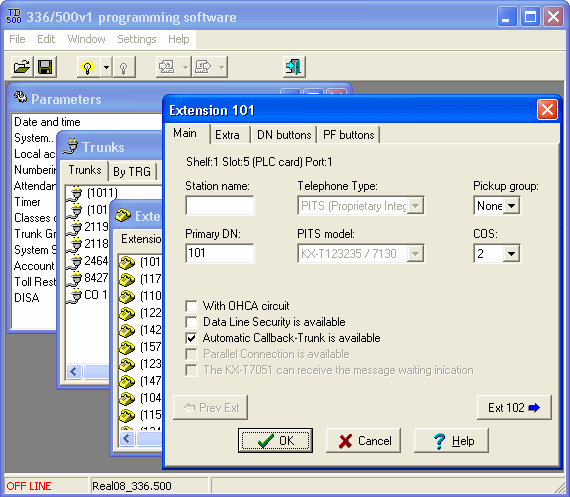 Easy understandable interface and built-in installer's help-file let you to config and to program your PBX even without PBX Installation Manual. To connect KX-T336/KX-TD500 PBX you will need null modem cable. For ready cable search Google for "null modem cable +"DB-25M" purchase". Attention! 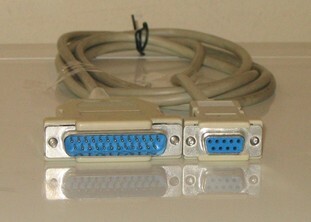 Cable has different connectors of 'female' and 'male' types (DB-9F and DB-25M). Try Programmator yourself - click to download.